Shazam! comes to us next week as the year’s sole DCEU release, sandwiched between two Marvel blockbusters – those being, Captain Marvel and Avengers: Endgame. But while the online conflict between these two comic book camps shows no sign of dying down, producer Peter Safran and director David F. Sandberg apparently see no rivalry with their friends at Marvel Studios. Nonetheless, Shazam! has been brought up in many an online dispute in recent weeks, largely due to the funny coincidence that Billy Batson used to go by the name of Captain Marvel. 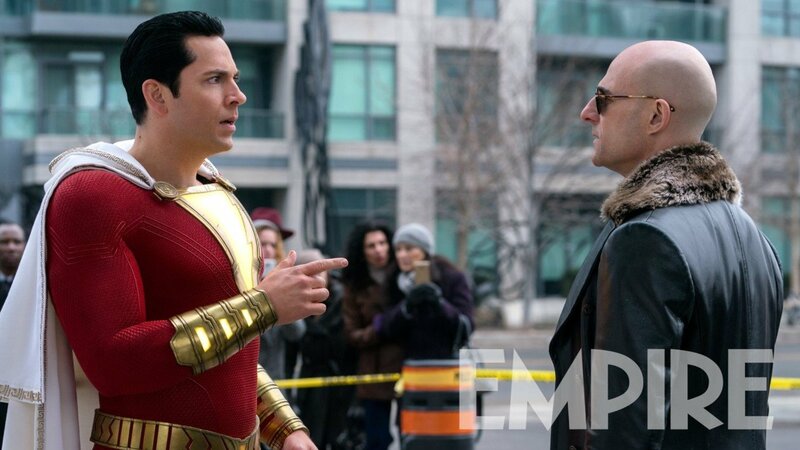 The conflict over Carol Danvers’ recent MCU debut has even caught the attention of Shazam! star Zachary Levi, who’s repeatedly gone on record condemning the angry commenters who’ve been trolling Captain Marvel pages. All the same, you can be sure that plenty of the same filmgoers who went to see the latest MCU flick will also be checking out Shazam! when it arrives in theaters on April 5th.